I have said it before that Kamitic spirituality means a lot of things to a lot of people, hence there are a number of Kamitic traditions that exist. I have stated that the Kamitic people were like you and me with the same needs, concerns and worries. I have stated that there is a difference from Kamitic religion and Kamitic spirituality because the former is a practice that can be done once a week (like on Sunday), once a week, or once a month. Whereas the latter is a cultural way of life that is within our blood, this way of life I follow is what I refer to as Kamitic shamanism or Kamta, which is like more like a self-awakening or self-initiation. 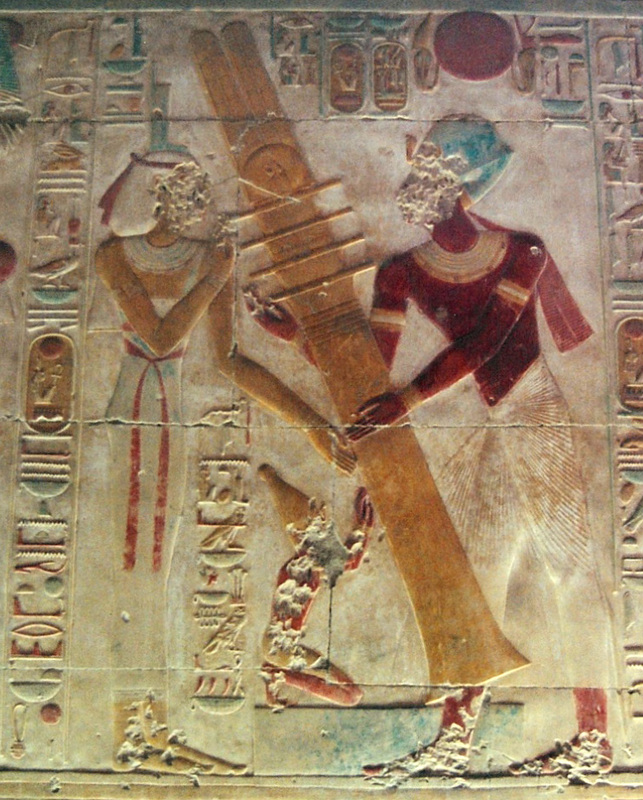 I have also stated that what made the Kamitic people of old so unique was how they triumphed over adversity, but for many of us it is still difficult to use the Kamitic principles to make miracles occur in our life, as our ancestors along the Nile and abroad had done. The reason I believe is because there is still some confusion about the essence of Kamitic spirituality based upon how it is approached, so I will try to clarify as best I can. Part of the reason Kamitic spirituality seems so confusing is because most approach the subject from a Western perspective. Kamitic spirituality is based upon traditional African/Afrikan thinking and to understand it we have to see how these two perspectives, Western and African/Afrikan differ from each other. So our subconscious takes away from Western spirituality that evil -the meek and weaker force – has to be conquered, subdued, overthrown and overpowered by the force of good – the aggressive and stronger force. An analysis of Western history and civilization supports this theory, which explains the reason why whenever there is a conflict or anything that opposes Western culture. What comes to mind is that one must fight because they are doing “God’s work.” For those who are wondering where this notion of God came from simply read Greek, Roman and Norse mythology. There you will find that Westerners may have dropped the old names but a religious syncretism occurred between their old faiths (the weaker, the pagan faith, etc.) and the new emerging faith Christianity. In truth, most Christians have been worshiping the Greek, Roman and Norse gods for centuries without a clue. African cosmology and other non-Western thinking is circular meaning it sees the duality in nature as interdependent parts of a whole. It sees that there would be no day without any night, fire without water, sun without moon, man without woman and so on. The idea that one is stronger than another from a holistic perspective is entertained with it depends upon the view point. Fire is stronger than water in its element such as in the desert, but on the flip side, water is stronger than fire such as in the ocean. In other words, a man may appear to be stronger than a woman physically especially when it comes to performing physically demanding labor, but a woman has her own unique strengths that most men could not tolerate such as the pain of childbirth, etc. It was this understanding that made it possible for women to be treated somewhat as equals in many non-Western societies prior to their encounter with Westerners. No, women did not get the full share of rights but they got more rights than Western women who because of Lilith and later Eve were seen as the scapegoats for humanity’s decline, which is the source of the Original Sin. Again, no one may have stated this outright at the pulpit or lecture halls, but this is how the subconscious, which takes everything it hears and sees literally, interpreted the story. Another interesting tidbit, it should be noted that in the history of humanity you have never heard of non-Westerners fighting in the name of god or doing God’s work, because The Supreme Being is everywhere and in everything even one’s enemy. The difference between people from the ancient African perspective is that people have their own minds, however right or wrong it may be, which we will see in the great conflict between Osar and Set. Returning to the subject at hand, African cosmology and other non-Westerners (Native Americans, Chinese, Pacific Islanders, etc.) viewed life as being composed of complimentary parts, so in the case of good and evil. They were looked upon as being two different sides of the same coin. 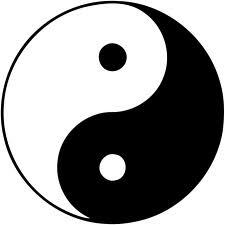 The Chinese called these polar forces yang and yin, but notice that yin is not fully yin and yang is not fully yang. They both have an eye (the circle within) symbolizing that there is a little yin in yang and a little yang in yin, meaning one cannot be fully yang or yin, because too much or too little of anything is disastrous for all. The Kamitic people (Ancient Egyptians) understood this concept as well, which is why they said that Osar, the older (Osiris by the Greek), and Set, the younger, were both brothers from the same cosmic loins. Osar’s kingdom was usurped by his younger brother symbolizing that nothing good last forever. 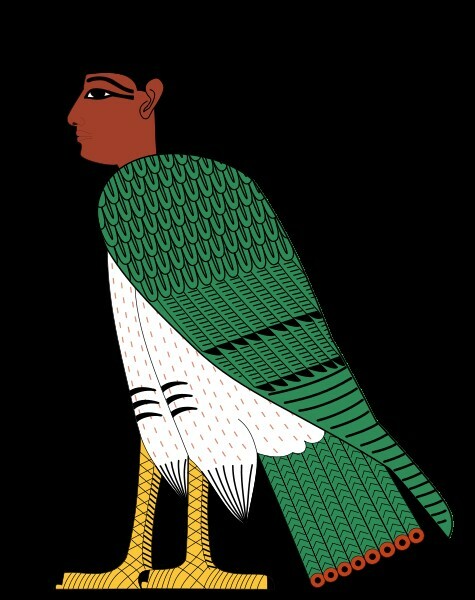 When Set is defeated by Osar’s heir in battle, it is hinted that evil cannot not be totally destroyed, which is why Oset (Isis) could not kill Set per Hru’s (Horus by the Greek) request. It wasn’t until they had the great tribunal and the deceased Osar spoke on Hru’s behalf that the Great War between Osar and Set was settled. Most people interpret the story from a Western perspective believing that Hru defeated Set and became the ruler of the land, while Osar became the ruler of the underworld. In truth, Hru as signified by the red and white crown (shown above) is the mediator between both lands because both Osar and Set symbolize the two extremes. In other words, Hru is the coin standing on its side. Hru is on the edge of both lands. He has a foot on one side and the other foot in the other land. 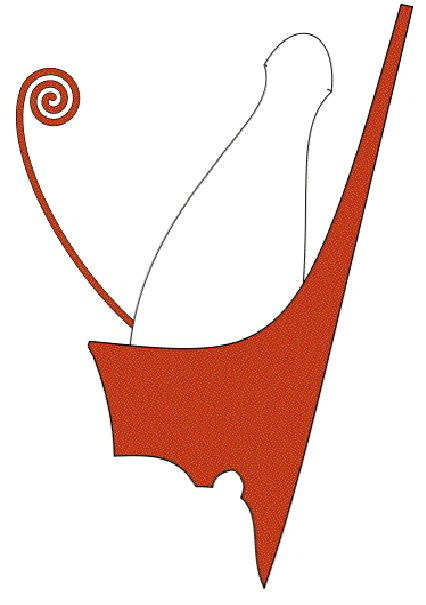 The idea of Hru symbolized as a hawk comes to mind indicating that Hru is on the fence or is perched on the wall between the two lands. From a metaphysical perspective Hru symbolizes that we can’t be too spiritual – as Osar, nor can we be too physical/mundane – as Set, we need both because we are physical living beings in a spiritual world and vice-versa, which is the whole idea behind African shamanism and the divine king concept. In other words, we are supposed to be representatives, vessels, for the Supreme Being. The whole God versus the devil theme was borrowed from the Osar versus Set conflict. The problem is that the early Jewish and Christian writers didn’t get the full story, which is why the God versus the devil theme doesn’t exist in Kamitic thinking. Proof of this can be seen in the fact that Set was venerated alongside the other so-called gods of Kamit. The reason is because Osar is not The God. How can Supreme Being and the Devil be the same? This concept makes absolutely no sense, which is why The God or the Supreme Being is called in Kamit, Nebertcher – The Lord of Everything. This is what the early Judeo-Christian writers missed. Nebertcher – The Supreme Being according to African thinking is so abstract and vast. Nebertcher cannot be defined and is called the Great Father-Mother Supreme because It is the androgynous source of Everything. Nebertcher is so great that It cannot even be conceived in the human mind because the Supreme Being is in everything and everywhere. The idea that one of the Supreme Being’s subjects is rebelling or revolts against Nebertcher is ludicrous in the mind of the African because that is like saying a droplet of water is equal and greater than the ocean. This is nonsense because the two don’t compare. So that we are clear, if you think of Osar and Set as being opposing teams, then the Supreme Being would be the stadium that they played inside. That’s how great Nebertcher is and this is the reason throughout Kamitic literature there is little mention of Nebertcher. As you can see, the battle between good and evil is actually our physical way or making sense of an immaterial reality. The battle of good versus evil is the struggle to control (not annihilate) the lower parts of our spirit. It is not about conquest but dealing with opposition. Evil exists in the minds of non-Westerners because if you never had opposition you would not be strong. Muscles don’t come from being in a relaxed state. We get muscles from contracting and tension, but too much tension and the body will burn up like the desert, the Red Lands of Kamit or TASETT (based upon the African cosmology called the maa aankh). There has to be moderation, not too much and not too little and this is what Hru symbolizes in Kamitic/Kemetic and Kush/Nubian spirituality, but that’s another story. Nebertcher – the Supreme Being is not bothered by the whole good versus evil concept because it is beneath Nebertcher. While Osar and Set may care about who wins the battle between them, Nebertcher watching the entire battle doesn’t care because in the end, It still wins because it is all about moderation, balance or maa (Divine truth). This is what the Kamitic people realized and this is the reason Hru has to have equal footing in both worlds. Hru (man and woman) has to learn how to be in the world but not of the world. When you understand this, this is when the true adventure begins. 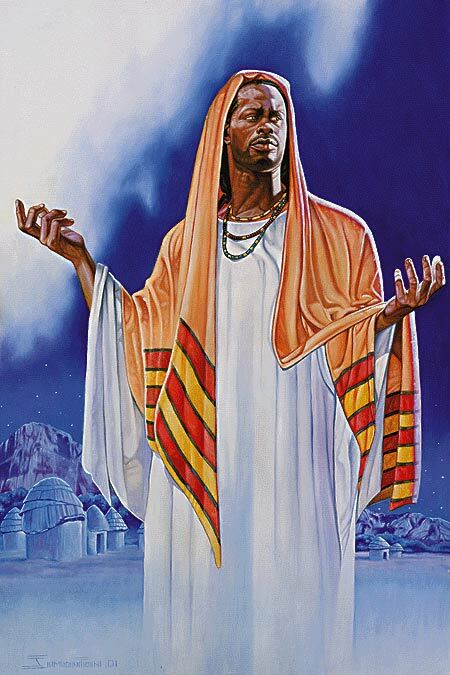 Nebertcher is beyond great, which is why in some of the traditional African societies like the Old Kongo, the Supreme Being or Nzambi is believed to be so far removed from the affairs of human beings, that the Supreme Being is not even prayed to for anything, yet is always on the African’s mind. This is why for the longest time missionaries (and Muslims) had a time trying to convince Africans to go to church. Even after finally coaxing some Africans to go to church, the African mind still found the concept difficult to completely accept and referred to the Christian God as being the God inside the Church who is different from the Supreme Being. In the minds of the African, no building can confine the greatness of the Supreme Being. 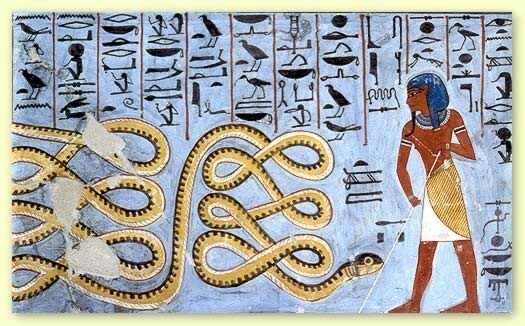 It should now become clear why our ancestors in North America “stole away” to find God in the deep fields and why our ancestors along the Nile referred to the southern region as KAMTA – The Black Lands, because it is in the invisible realm, that one discovers the mystery of the Supreme Being within, shown below. No one bothered the Supreme Being because The Great Lord was too great. The only time one prayed to or rather bothered Nebertcher was as a last resort and when nothing else works and even then to arouse the Great One to even act one has to do something very offensive. Women in the Kongo were said to have exposed their breast to provoke the Supreme Being into acting. Funny thing, I knew that this had to be a cultural practice passed along the bloodlines because when I was younger and couldn’t escape the mental anguish I found myself in due to religious confusion. I cussed out God and even flipped Him off a number of times so that when I was struck down by lightning I could tell God how cruel and unjust he made life on earth. It wasn’t until I got older I learned that this was classic African thinking and that my anger and disgust was actually directed to the Supreme Being. I would never do this to Osar for fear of retaliation. The idea of provoking the Supreme Being would appear unspeakable to a Western thinker for one because they are afraid of death and don’t see it as being necessary for life. To a non-Western thinker on the other hand, offending the Supreme Being makes perfect sense because it is based upon the understanding that man and woman need the Supreme Being, but guess what. The Supreme Being also needs man and woman because without us, “Thou will” will not be done, which again illustrates the whole interconnectedness and interdependency between the visible and invisible. There we have it, in order to truly make sense of Kamitic spirituality one has to see the universe as our ancestors saw it as ridiculous as it may seem at times, because their thinking was circular and not linear. It is what psychologist call right-brain thinking, which is full of myths, allegories, stories, symbols, etc. When people stop trying to make Kamitic spirituality conform to their limited linear beliefs, instead open up to its beliefs, that’s when they will begin to see clearly and benefit from Kamitic spirituality. You will know when this change will occur because you will cease giving definitions about the netcharu and instead see their interconnectedness with everything in the universe. For instance, you won’t say that Osar represents plants, agriculture, is associated with the moon, etc. You will instead see Osar as the one that shakes the ground, speaks to you through plants because he is connected to everything. When the moon is shining it will remind you of Osar’s presence and all of our great ancestors who twinkle in the night sky. Falling stars are seen as Osar granting an ancestors return to the land of the living, and so on and so on. As you can see the first approach sounds very linear, rigid, static, and cold as if giving a definition. The latter draws you in because it sound circular, flexible, mystical and powerful. It is a living story, which explains the reason why there are so many versions of the same story. It is because it is something the Spirit can play with. Only Western thinkers are concerned with for instance, the Story of Osar being logical, historically accurate, if the characters in the story are incestuous, etc. African and other non-Western thinkers look at the story as to how it correlates with life. This is the reason why they can find their guardian spirits (loas, orishas, netcharu, etc.) in any tradition and anywhere, because they are only concerned about the Story working and revealing to them TRUTH about their divinity. By this I mean they are looking fora story to help convince them that they can do anything that is humanly possible, because they were made in the image of God. This is what the Kamitic mindset was all about. For more insight, check out Prayer to the Black Christ. My bad…My bad…You know, when I first posted information about the netcharu or Kamitic guardian spirits on the “Who and What Are the Ancient Egyptian Gods?“, I posted the Roman Catholic correspondences because the saints help me to assist those coming from this background. I forgot to post their Christian associations, which are the forms these guardian spirits took when they first communicated to me, since I come from a fundamentalist Christian background. I will post their corresponding forms in this post, but before doing this I wanted to explain how I made these connections. I was not trying to plug and play but really trying to understand how these guardian angels could speak with me. 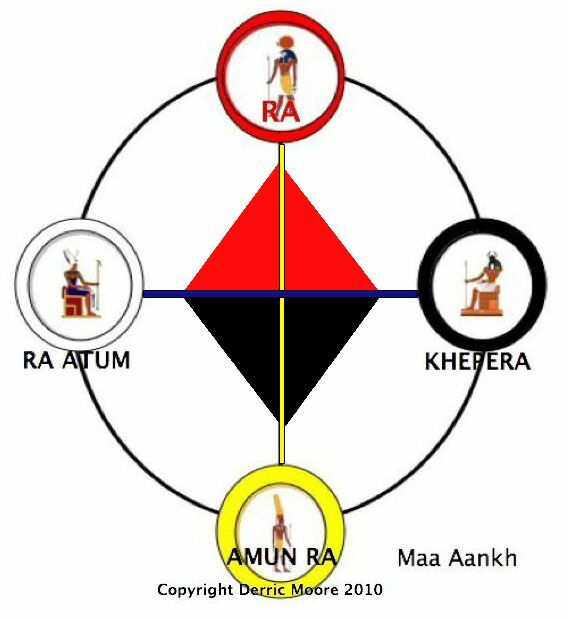 I knew that others like Ra Un Nefer Amen of the Ausar Auset Society had done it using surviving information from the Indus Kush and Yoruba tradition to make a connection, but I was in the spiritual desert or TASETT (see the maa aankh) at the time. I didn’t know anything about the Indus Kush or Yoruba tradition when I first began. So I would have to try and understand both of those traditions just to scratch the surface of what I needed. I went through this arduous and long intellectual process because as I stated I was raised as an Apostolic Pentecostal Christian, which basically means “Jesus only!” For those of you who don’t know what this means, let me give you a real brief explanation. This faith, along with Jehovah Witnesses, believes that if you do not accept Jesus (or Jehovah in the case of Jehovah Witnesses) as your sole lord and savior that your soul is going to hell (or annihilated). Your salvation is in the hands of the Lord and while giving up one’s individuality and the right to question God was considered heresy. So, even though culturally speaking I was raised to believe in spiritual beings that we called angels or ministering spirits. Talking to them was seen as border lining on devil worship in their eyes, so in a way you were raised to ignore your culture. I had read numerous books on the subject and still had no clear understanding of these spirits until I met my Cuban padrino who told me a story about the orishas. Papa, the name I called him, told me a legend he learned when he was in Cuba. I am giving a condense form of the story but he basically goes like this. 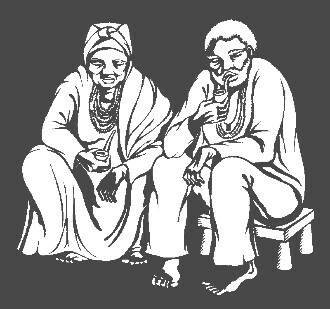 At bars, when Oggun comes in with Oshun, all hell breaks loose because Oshun only has eyes for Chango, which leads to Oggun and Chango fighting and that’s when Ochosi comes and carts everyone to jail. 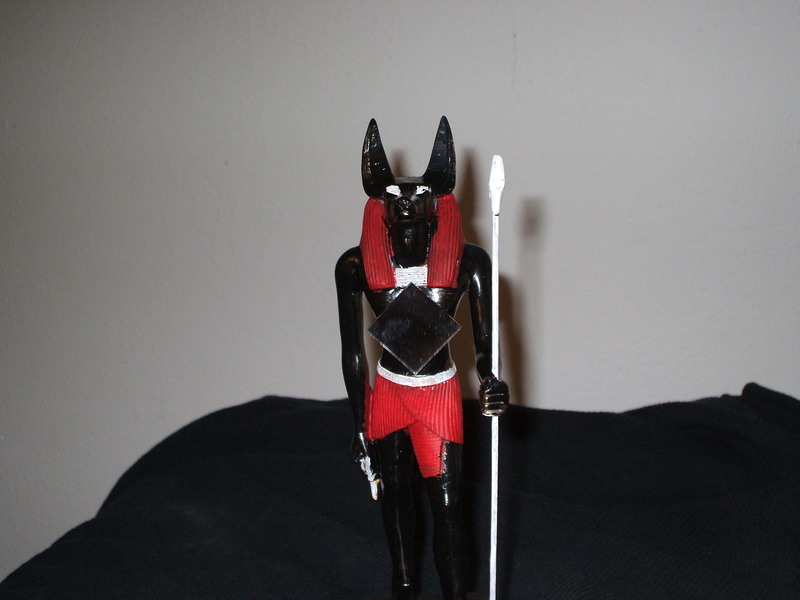 As Elegua sits in the corner laughing at the mischief he just caused. If you ever went to a party or bar and witnessed fighting this is usually how it occurs, which gave me the foundation I needed to connect with the netcharu myself. It was shamanic meditation that helped me to move beyond the intellectual phase of just giving a definition of the netcharu, to actually interacting with them. Since the Kamitic writers of old did not leave any texts explaining who and what the netcharu were and where they came from, a number of theories have been created to fill the intellectual void. Some believe they were created out of the blue, while others believe that they were anthropomorphized from nature. I think that both of these theories are an insult to the Kamitic people of old intelligence and believed that these guardian spirits were once upon living people. For instance, the first legendary ruler of Kamit who united the kingdom was King Menes also known as King Narmer. This is no netchar named Narmer but, the closest netchar resembling these historic feats is Osar. Hru manifested himself to me as King David from his extraordinary, naïve triumphs of a child over the giant to the humbling positioning he was placed in due to his arrogance, chauvinism and abuse of power. 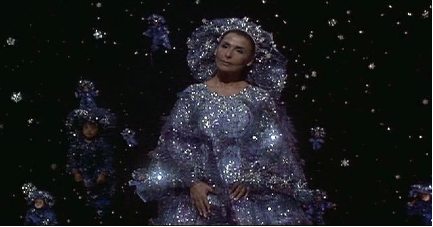 Nebhet is Queen Esther, the queen that used beauty, riches and pleasure to defeat her enemy. Sokar is the biblical Job who showed me how to be persistent and dance in the face of trials, tribulations, obstructions and especially illness. It was Sokar that taught me that the righteous are the ones that are reborn. Djahuti is King Solomon, the alleged wisest man in the bible. Npu is the lucky, faithful and optimistic Joseph the Dreamer. 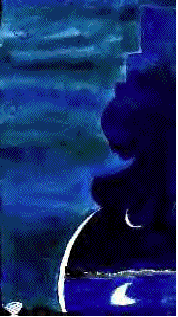 Another one of Npu’s avatars is the biblical Moses. These ancestral archetypes that our ancestors conjured helped me to communicate with the guardian spirits or netcharu. One lesson I had to learn was that Spirit is unlimited. It is not bound by time and space nor is it confined to rigidness of color, ethnicity or affiliation. Spirit can manifest itself through anyone and anything. The connection has to be based upon energy. This understanding helped me to see that even though these ancestral archetypes are not as prevalent as they were years ago. A comparison between the Kamitic legend, the biblical stories and documentaries about African American culture will give you a connection to the netcharu. For instance, you can see the dreaming and great oratory skills of Npu manifested in Joseph the Dreamer and Moses in many preachers and leaders like Martin L. King Jr. The same brute and sharp swords of Hruaakhuti can be seen in the Apostle Peter expressed through Malcolm X. The wisdom of Djahuti seen in the words of Solomon is expressed in the late great John H. Clarke. While the courageous, golden tongue and heir of Osar, Hru can be read about in King David’s biblical psalms and other great adventures, and seen in Muhammad Ali, and so on. Through them one can see how to invoke the power of God for self-improvement and wellbeing.